Sweet Freedom: Busy, Busy, Busy! Dear blog, sorry for the neglect. 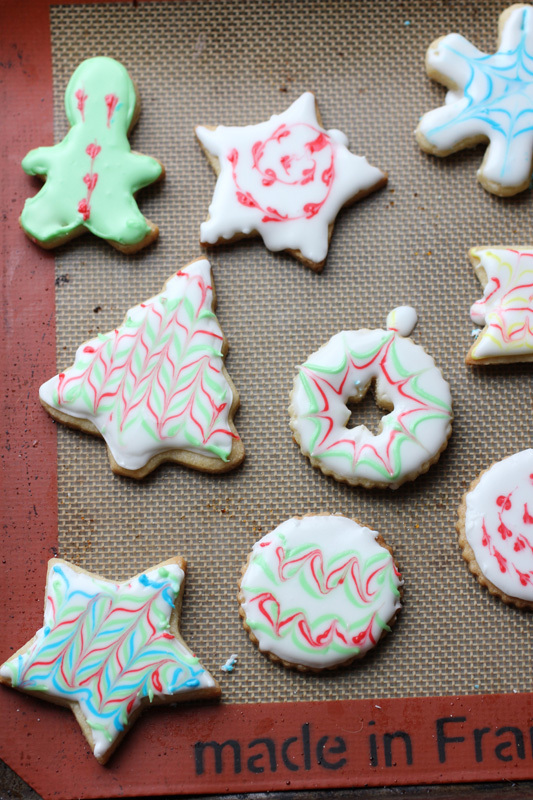 I thought December would be a month full of blog posts about Christmas baking and crafting. Turns out the month was too full of baking and crafting, and I've had really no time to do anything else. My life has been a non-stop cycle of Christmas card making, gift making and baking. I'm not complaining, I love doing it, but it would be nice to be able to do something a little different. The baking hasn't even been for me. Someone I work with asked me to bake up a some trays of baked goods (full of sugar) for the staff, and it took over my life...so I don't feel bad about making this post all about the sugar filled goods I've been baking. I finally delivered the trays yesterday, and took a few quick snap shots before they were gone. All baked goods have been taste tested by Dad. 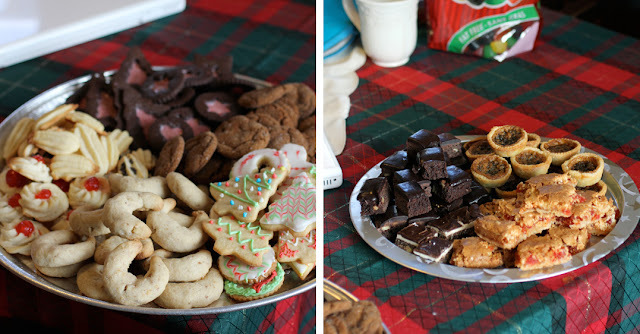 These were the two main trays I made up—cookies & bars. 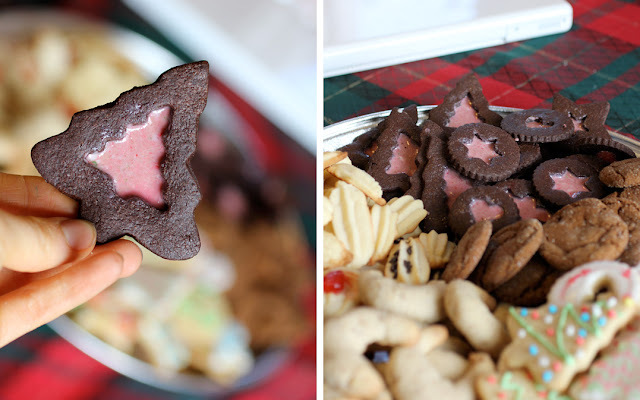 Cookies include nut crescents, piped shortbread, Chocolate-And-Peppermint Stars, gingersnaps and Sugar Cookies decorated with Royal Icing. The bars plate was made up of Coconut Cherry Bars, nanaimo bars, brownies and butter tarts. There were also trays of vegetables, meat, cheese and a plate of gluten free baked goods, including flourless chocolate chewy cookies, Peppermint Patties and rice krispie squares. I would recommend all of the recipes I linked to for this post, based on looks and workability, of course...except maybe the coconut bars—they're a litte ugly. I didn't link to certain recipes simply because they came from cook books, or, more often, my baking manual from school.